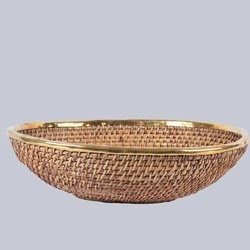 We are offering Oval Shallow Wicker Fruit Basket. It is a purely hand-made product. Duck shaped fruit & chocolate basket made of fine willow wicker, first choice of kids-they like the duck shaped basket filled with candy's or chocolates. Looks very good on dining table filled with fresh fruits. 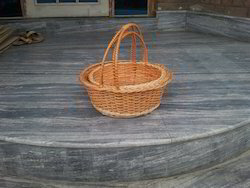 The Wicker Basket provided by us is known for its sturdy and durable design. This basket is priced economically to suit the client’s budget. We are amongst the reputed organizations, highly engaged in offering an optimum quality range of Wicker Bicycle Basket. Wicker Basket For Kitchen. Made in original cane basket.